Preheat the oven to 350 and line two baking sheets with parchment or spray with cooking spray. In a large bowl or the bowl of a stand mixer, beat together the butter, brown sugar, and sugar until light and fluffy. Add the peanut butter, egg, egg yolk, and vanilla, and mix until smooth. 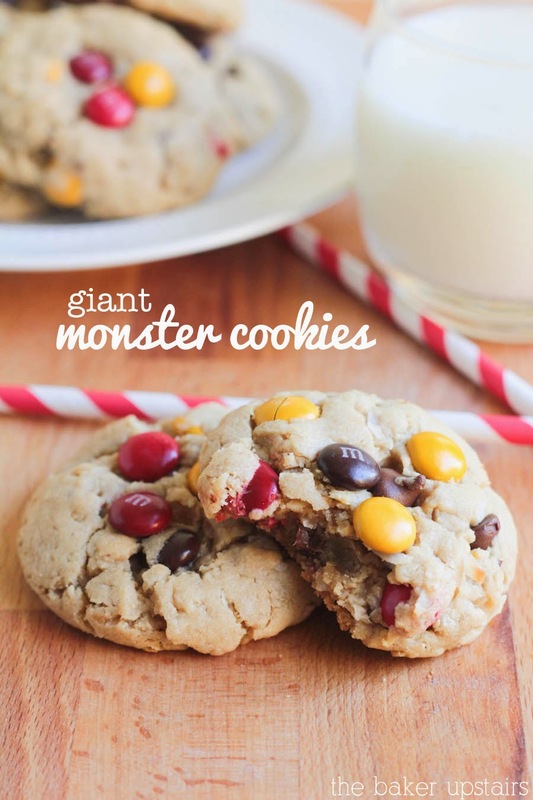 Add the flour, baking soda, salt, and oats, and mix until combined. 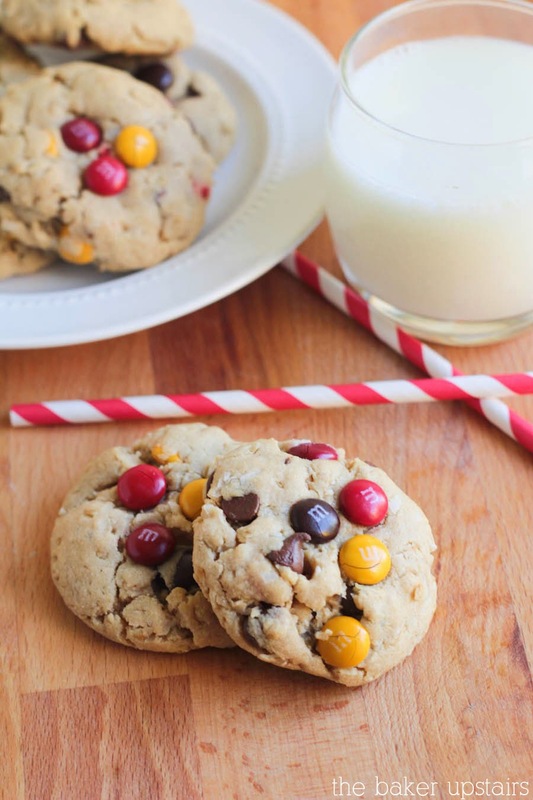 Fold in the M&M's, chocolate chips, and coconut. 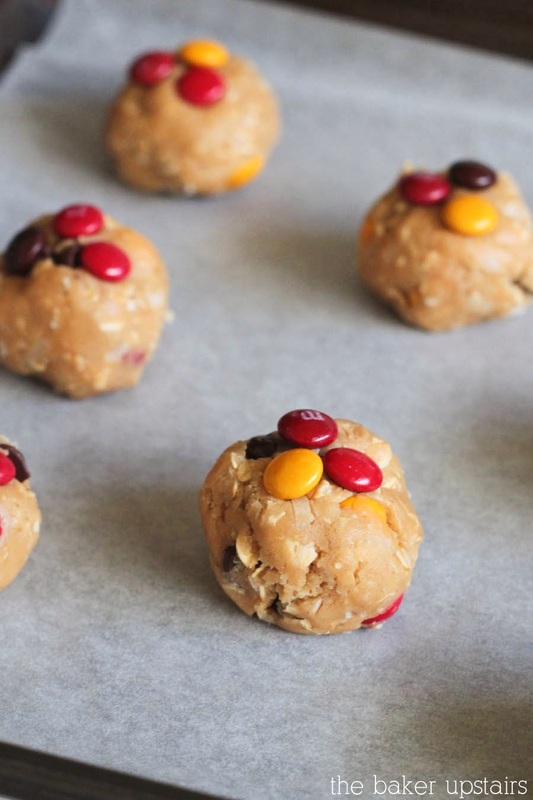 Scoop into golf ball-sized balls and space 2 inches apart on prepared baking sheets. Bake 9-11 minutes, or until very lightly brown on the bottom. Let cool on the baking sheet before removing to cooling rack. Enjoy!